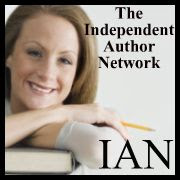 Reviews, interviews, author articles, and guest posts of indie and self-published fiction, non-fiction and memoirs. The wait is over! Book Three of this highly-rated fantasy series is now available in Kindle eBook and paperback at Amazon. Saint Elm’s Deep is the latest offering in the best-selling Legend of Vanx Malic series. Books One and Two reached the top of the Amazon Fantasy/Mythology bestsellers list shortly after they were released. In Saint Elm’s Deep, Mathias continues to develop his main character Vanx, a half-zythian bard. After finding a map on a grueling hunt, Vanx and his new companions travel deep into the Bitterpeaks. There they search for the fabled Hoar witch's palace in a hidden valley of the treacherous and magical Lurr Forest. The story expands as we explore Vanx's past and the future of this unlikely group of heroes. The journey and the strange creatures they encounter along the way make this an epic fantasy you won’t want to miss. 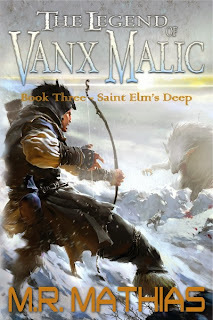 Action, drama, thrills, and a barrel-keg full of adventure await readers in Saint Elm's Deep, The Legend of Vanx Malic, Book Three. 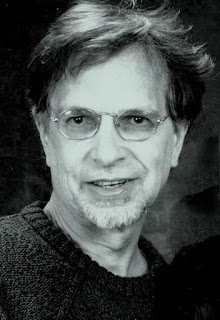 M. R. Mathias is the author of the international bestselling Wardstone Trilogy, the Locus Poll-nominated Dragoneer Saga fantasy series, and the Crimzon and Clover Short Story Collection. He is also the author of the award-winning horror thriller The Butcher’s Boy under the pen name Michael R. Mathias. Book Four, That Frigid Fargin Witch is due January 8, 2014, and Book Five is scheduled for a June 2014 release.